1. Forensic expert in physical security cases. 2. Forensic expert in armored car cases. 3. Conducting Security Risk Assessments for organizations. 4. Customizing security programs to reduce costs, improve risk management and increase profits. Jim is available via Linkedin. 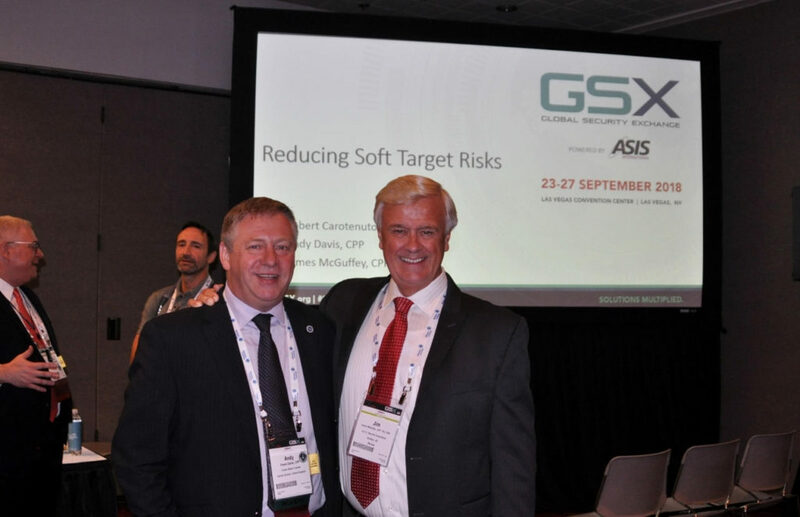 Jim has been an ASIS International member since 1981 and currently serves on the Cultural Properties Council. 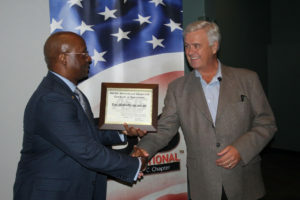 He was founder and Chapter Chair at the Savannah Low Country Chapter for 5 years and served as Committee Chair for the House of Worship Committee for three years and also on the Physical Security Council for two years. 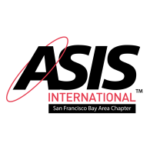 Jim Holds all three ASIS Board Certifications accreddited by the Department of Homeland Security, American Standards Institute and International Standards Organization. 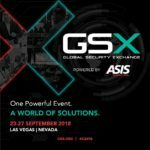 Jim McGuffey spoke about “Reducing Soft Target Risks” at the Global Security Exchange (GSX) 2018 (formerly the ASIS International Annual Seminar and Exhibits) in Las Vegas on Monday, Sep 24th 3:45 PM. 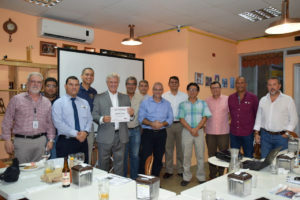 Jim was guest speaker at the Panama City, Panama ASIS International Chapter on June 27, 2018. 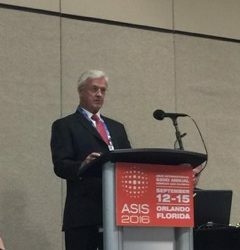 ASIS International 62nd Annual Seminar and Exhitibs, Jim presenting on Strategies of Hardening Soft Targets for places of worship. Sept. 13, 2016. Security expert and Bluffton resident, Jim McGuffey, teaches local church leaders how to prepare for the worst. McGuffey leads the free House of Worship Security Training workshop to area church leaders at the Bluffton Police Department. 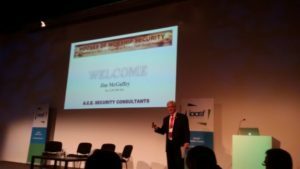 Jim addressing security, law enforcement and museum managers from the U.K. and Europe at the International Arts & Antiquities Security Forum in Gateshead, England. 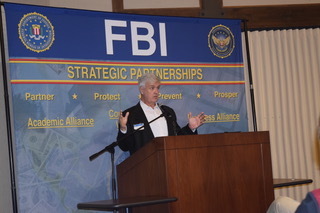 Jim speaks at SC InfraGard 2016 Winter Conference on the Security Risk Analysis Process. 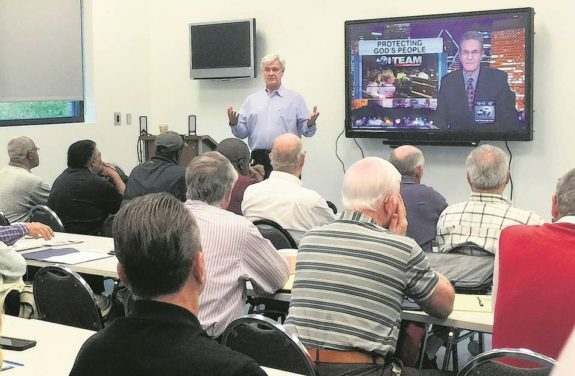 “I am familiar with Jim, both as a Sector Chief in the South Carolina InfraGard Members Alliance, and a participant in a presentation that Jim made to the group in December 2016. Jim is a Subject Matter Expert! 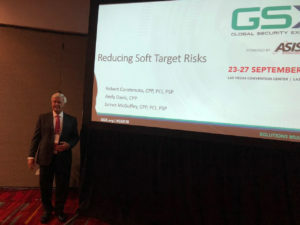 He is also passionate about what he does, going out of his way to ensure the sector members receive the latest information to better assist them with understanding their increasing risks. Jim also has a talent for explaining the complicated into something that is easily understandable. At the December presentation, there were several hundred attendees, with varied perceptions of security. Jim enlightened all, without boring the more knowledgeable security members, nor talking over the head of the least knowledgeable security members - a herculean task, exasperated by the complexity of the topic. I am certainly better prepared in understanding security thanks to Mr. McGuffey. Thanks Jim” -- Rocky Pizzarello, January 3, 2017. “I hired Jim McGuffey, A.C.E. Security Consultants on two occasions to assist with writing our operations manual and for conducting a security risk assessment at one of our facilities. 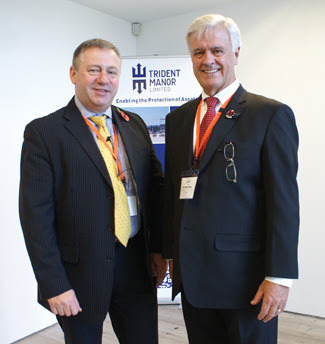 I found Jim to be knowledgeable in the Security Risk Assessment Process and would not hesitate to recommend him." "Jim McGuffey knows what he is talking about, bring passion and integrity to his work and show a keen acumen for crafting his impressive knowledge and experience to his client specific needs. My high expectations were greatly exceeded." "I recently utilized A.C.E. Security Consultants as an expert witness in a case involving death while in custody and found them to be professional and quick to respond to my needs. Their guidance and reports were helpful in my firm obtaining a settlement." "Jim provided security consulting for our company's armored division. We currently operate 8 armored offices throughout the Midwest. Jim brought his background and vast experience in the industry and helped our company develop policies and procedures to implement into our business model. Jim is very professional and gave great insight to help our company develop sound practices. I would highly recommend Jim for any security consulting. Thanks Jim from all of us at MOBILETRANSIT."